Usage: right-click on an empty instrument slot and choose "MorphSynth" in the contextual menu to create a new MorphSynth instrument. 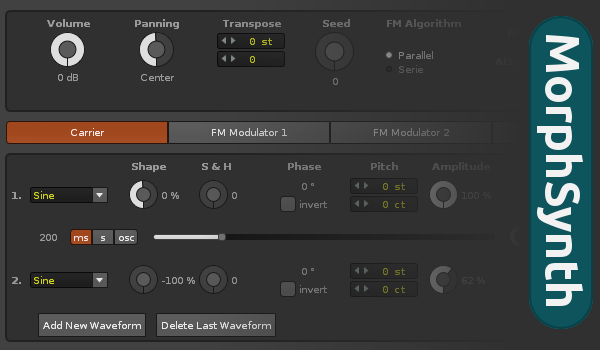 Edit the parameters, and click on "Generate Samples" to create the wavetables. Repeat the process until you find the sound you want. You can close and reopen the synth interface without losing any parameters. You can also open MorphSynth over an existing instrument to layer multiple types of sounds.